First out of the gates for Racing Together Community Day was Ripon Racecourse who took advantage of some great Spring weather to clean up their local area. It may be over a month until Racing Together Community Day on Thursday 9th May but Ripon Racecourse decided to make their contribution to racing’s volunteering day a little early. 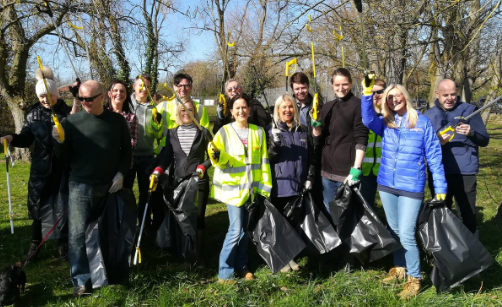 At the end of March, members of the team joined up with other businesses from the Borough of Harrogate to perform a clean-up operation around the Jennyfields and Saltergate School area. Harrogate-based radio station, Stray FM ran ‘Green Month’ throughout March to raise awareness of little changes that can make a big difference to the environment on both a business and personal level. 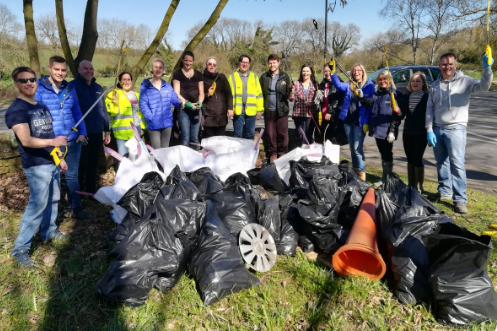 Businesses in the borough joined forces to carry out the ‘Stray FM Big Clean Up’ guided by listeners who put forward their suggestions for areas in need of sprucing up. An army of ‘cleaner uppers’, including representatives of Ripon Races, arrived at the designated spot with gloves, wellies and bags at the ready. Ripon Racecourse Marketing Manager, Jonathan Mullin said: “We are unable to participate in Racing Together Community Day on 9th May because we are racing on the 10th but it is a fantastic initiative and we thought this was a great opportunity to make our contribution. “Hopefully by joining together with other businesses and the local community we can make a really positive change, not only by sprucing up the area with the big clean up itself but by collectively spreading the message and working together to show that we all have a part to play in protecting and improving the environment. 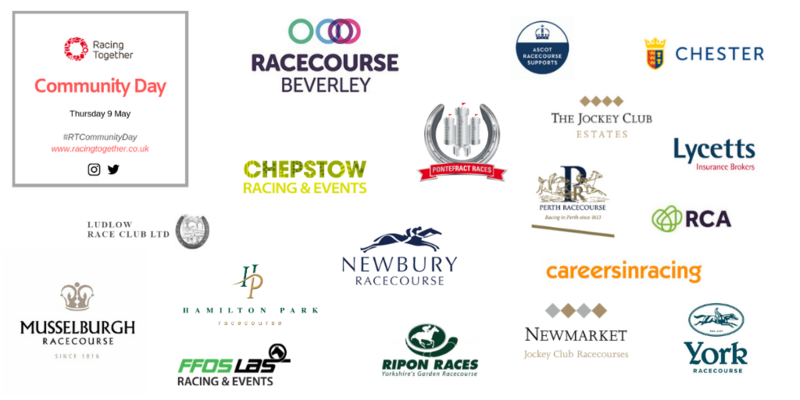 “Racecourses rely upon local communities for support, particularly smaller courses so it is vital that we get out there and show that we care. Picking litter isn’t the most glamorous of tasks but it was actually quite enjoyable to get out of the office and do something different!